Record Store Day is on Saturday 13th April. Sauce Records will have a heap of the Exclusives. 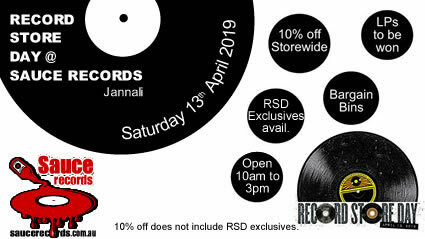 Sauce Records will be celebrating Record Store Day (13th April) with a great range of RSD Exclusive titles as well as 10% off storewide (excludes RSD titles), heaps of new titles to look through and giveaways!